London will host the first-ever FIFA eNations Cup next month from April 13-14, the international football governing body announced on Thursday. 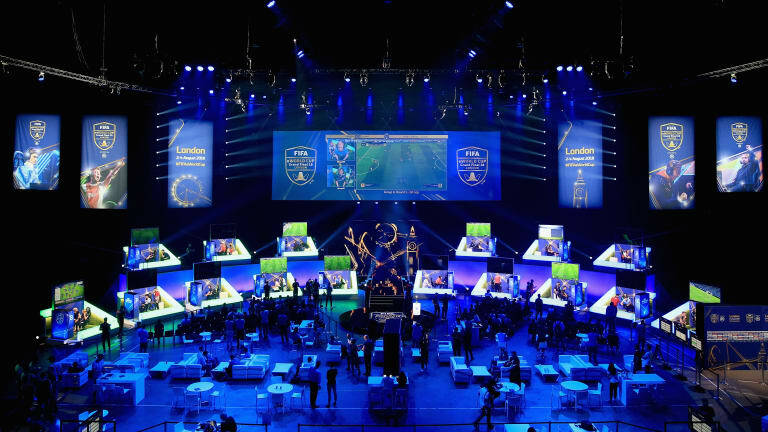 The eNations Cup, a newly introduced event in the EA SPORTS FIFA 19 Global Series calendar this season, will see 20 teams from six confederations fight for the crown. The inaugural edition features individual (1v1) and team (2v2) matches played on both Xbox and PlayStation. "The new 2v2 match is another important innovation for the sport of eFootball this season and will add further drama - as well as another dynamic - to the event during what will be an exciting two-day exhibition of some of the best eFootball in the world," said Chirstian Volk, director of eFootball and Gaming at FIFA. Besides splitting the 100,000 U.S. dollars prize pool, the players selected by their respective confederation will have a chance to earn 1,500 points in the world standings, which are crucial on the road to the 2019 FIFA eWorld Cup Grand Final at the end of the season. The countries and regions to participate in the 2019 FIFA eNations Cup are as follows: Argentina, Australia, Brazil, China, Denmark, England, Finland, France, Germany, Mexico, the Netherlands, New Zealand, Norway, Portugal, Saudi Arabia, South Africa, Spain, Sweden, Russia, and the United States.